Lynn C. Harris is a highly skilled attorney who has helped numerous injury accident victims in the greater Salt Lake City area. He has a great deal of experience when it comes to serious car accidents that result in severe or fatal injuries. The assistance of an experienced lawyer like Mr. Harris is especially important when it comes to commercial truck accidents. Let's consider a few reasons why these collisions may occur. When large trucks are on the road, it's important to keep in mind that these vehicles have very large blind spots. In a number of instances, a driver may not realize that you are nearby, even if you have been driving behind or adjacent to the long truck for a long period of time. This can pose a major hazard when these large vehicles are turning or merging. In order to stay safe, be sure to remain in places near a truck that you can be seen. This can make a major difference with regard to your safety. Even though truck drivers are hired to do an important job, they sometimes are not responsible behind the wheel. In such cases, they may speed, swerve, fail to signal, be inattentive, or even get behind the wheel while intoxicated. Given the size of the trucks, this makes the driver quite dangerous and even deadly to others. Keep in mind that reckless driving by motorists on the road with trucks can also lead to serious accidents. Be sure to abide by all rules of the road while you are driving. Since truck drivers have to make deliveries and shipments in a short amount of time, it's not uncommon for them to push themselves beyond the limits of exhaustion in order to make time. This leads to driver fatigue, which is dangerous for everyone. Sleep deprivation combined with mental fogginess and delayed reaction times is a recipe for disaster, and it makes collisions far more likely. 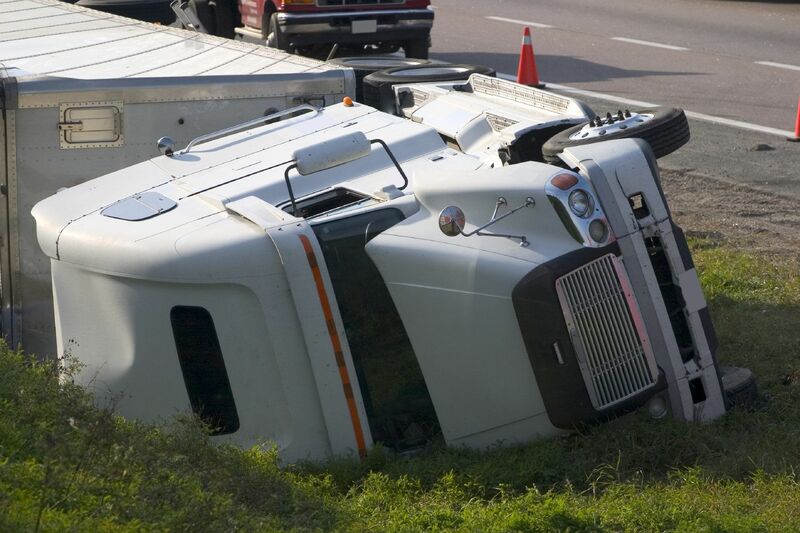 The most prominent example of driver fatigue that reached national media attention was the tragic truck accident involving actor/comedian Tracy Morgan. A sleep deprived Walmart truck driver rear-ended a vehicle in which Morgan was a passenger. The collision seriously injured Morgan and took the life of his friend, writer/comedian James McNair. Sometimes the issue isn't related to drivers. The trucks themselves may be defective or dangerous due to lack of proper maintenance and defective parts. Bad brakes, poor steering, damaged signals and brake lights, or other flaws may make serious accidents more likely. Bad roads and poor road design mean a dangerous situation for everyone. This includes issues with road work, narrow lanes, blind turns, or poor signals and signs in place. In such cases, the local municipality/government may be held accountable for creating hazardous driving conditions. Bad weather can mean major danger. Rain and snow leave roads slippery. Even with good tires and driving at proper speeds, there are major risks on the road. Large trucks in particular can be quite dangerous simply given their size and the need for longer stopping times and distances. For more information about your legal options after a serious truck accident, be sure to contact an experienced personal injury and auto accident attorney today. Lynn C. Harris will help you in your time of legal need, ensuring that you get the help and legal attention that you need.